People stand at street corners, not a car or truck in sight, only audible in the distance, yet reverent to the backlit red sign stalling their steps and intent to cross. 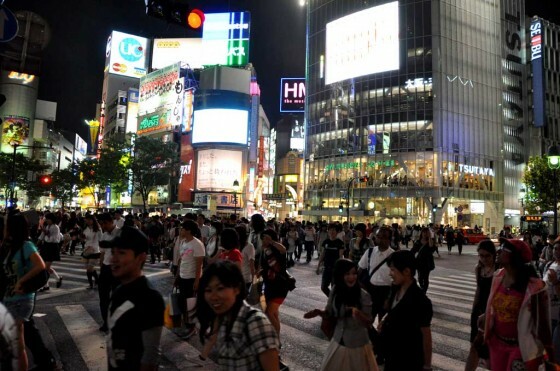 A moment of traffic at Hachiko crossing preceding a mass crossing. Vehicular traffic is overtaken by a mass mobilization of pedestrians. Such observations are boundless, as we discovered in Tokyo. A friend we met at Hachiko crossing, Takeshi, approached us taking a break from promotional duties, passing out flyers for a nearby bar. We found he was an enthusiast of English, in the linguistic sense, and desired a conversation. Takeshi probably noted most astutely about his own people, when he characterized Japanese as “shy”. We’re not sure if this applies in all of Japan, but in Tokyo, you get the feeling and sense that you are a ghost, far removed from the culture that surrounds you in both your own understanding and by the culture itself. Eye contact is a rarity, and although we were greeted enthusiastically in the shops and markets, little attention was paid to us otherwise. When initiated however, we received only polite and kind response. 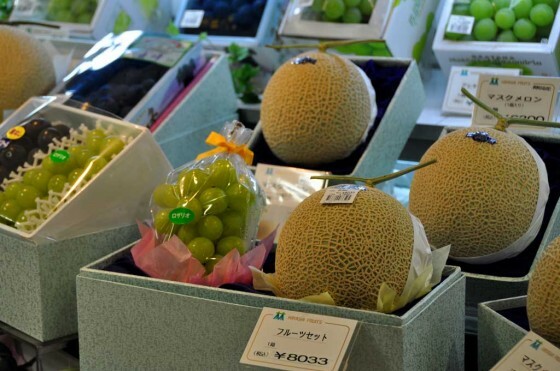 Fruit in Japan is a luxury, and necessarily expensive. This little gift box of deliciousness goes for around $80 USD. Yikes! Some of the more appetizing options we found in the food malls, for lack of a better term. 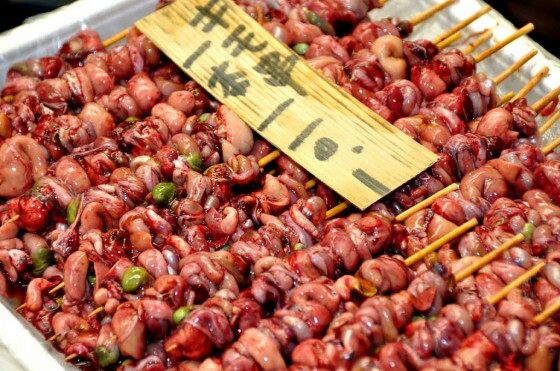 Tough to know exactly what is on these sticks, but scrumptous nonetheless no? Something you might pick up on the way home for the old lady to cook up. The city itself was a myriad of what seemed like unending tenements and office buildings glittered by small shops and eateries. Tokyo and its skyline cannot be observed from the perch of an outlying hill top, like a mountain rising out of the surrounding plains. The borders to Tokyo’s skyline are ambiguous. Each precinct of the city we found ourselves was as likely to be some imitation of Michigan Avenue or Broadway as the next. 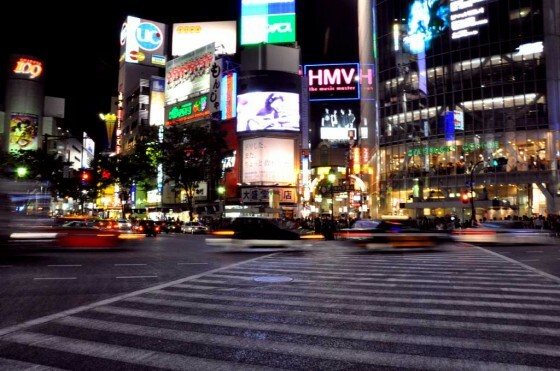 Everything was stupendous, illuminated and covered in the latest advert…quintessential Tokyo in our minds. Lounging at the most scenic angle of the Imperial Palace. No one called ahead to say we were coming so it was closed that day, as most throughout the year, New Years and the Emporer's birthday an apparent exception. Jeesh! The oldest Temple in Tokyo, preceded by a long avenue of street side quick eats and trinket shops. Hard to imagine the age of this structure. I've probably been to too many amusement parks, and hence have tainted my perspective. Rules are obeyed religiously, and seem to be supported by a strong sense of respect for themselves and each other. Cell phones are not to be used in public, hence the ferocity of texting and hand held video games. Eating is never on the run. One cannot get a take home box for an unfinished meal. 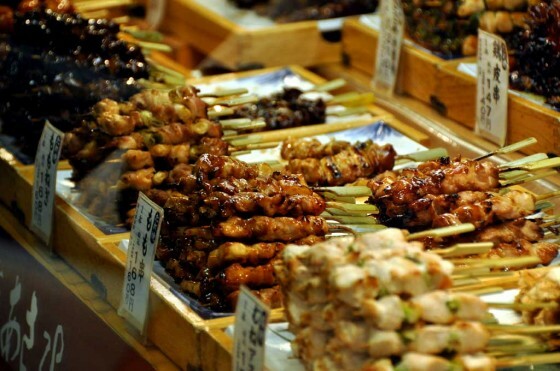 Purchases from any street side food vendor are strictly consumed within the immediate 3 meter vicinity. Cleanliness is paramount, and the facades of buildings are even cleaned and wiped down from the days dust. Everyone from the chauffeured businessman to the McDonald’s cashier is well groomed, skinny and attired in a formal button down. The fashion and sense of style served up around Tokyo were incredible, with no discrimination to gender or age group. The clothing folks in Tokyo adorned is alone enough reason to visit, and as someone incredibly conservative when it comes to things of this nature, we were entranced. As all the intricacies of Tokyo are revealed, the inevitable question comes into focus…wondering how this or that became. Necessity we suppose, as most all things are begotten, but how interesting. I have generalized about the Asian population in the past, not fully understanding the distinctions among Chinese, Japanese and so on. This will certainly not continue, and further education is anticipated. 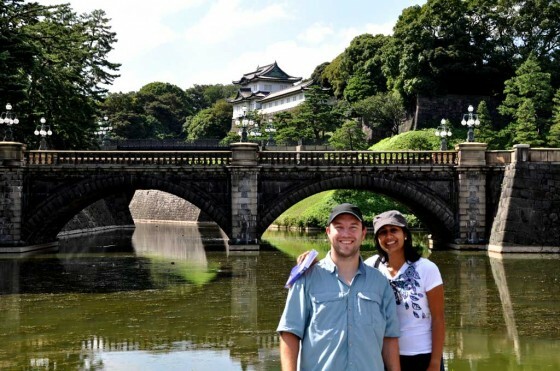 Awesome post – I feel like I've been to Tokyo now! Thanks Tiz! You would have loved all the crazy fashion trends here in Tokyo – these people can pull off any wild concoctions! Love seeing all the pix and reading the posts. Sounds like you guys are having a blast! Is that the Asuki temple or something like that? I have been there. Hi Rachel. 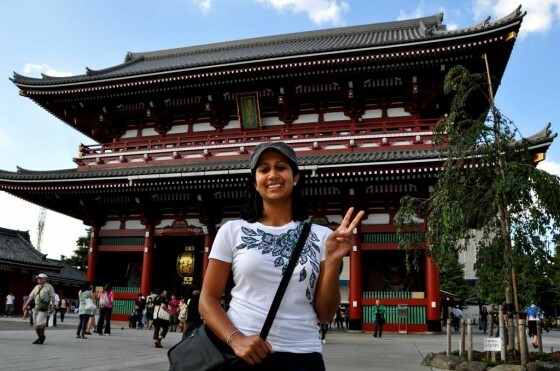 No…I believe it is the Sensoji Temple in Asakusa area of Tokyo. Lots of people doing a number of ceremonial things there…pretty interesting.